We could write accounts of the progress made by the many hundreds of dogs that we have worked with but we suspect that nobody would have the time to read them! So, we thought we'd share just a few individual stories to show the range of struggles and successes in which we have played a part..... We've even included one of our own dogs (after all, who better to help than someone who has been through it themselves?!). Ted came to puppy classes with A Different Dog. He was a little shy at first but soon came out of his shell and enjoyed learning and playing with the other pups. His owner continued his training at home and also brought Ted to Silver and Gold classes to keep him on track through his teenage phase! Ted is now a certified PAT (Pets As Therapy) Dog, passing his assessment with flying colours. He is doing a wonderful job working with his owner in Great Ormond Street Children's Hospital. What a star! We're so proud. Ted came to our life-skills training classes. Flossie was adopted by her owners from a rescue centre. They soon realised what a challenge they had taken on when she was barking, lunging, spinning and snapping at people, traffic, bikes and other dogs when out and about! Her wonderful owners have worked so hard with her and, with support from us, she really is 'a different dog'. She is now able to greet and play with other dogs nicely, ignores traffic and bikes and loves a fuss! She's a testament to her owners' hard work, patience and understanding. We love her! Flossie had 1:1 behaviour support. When Maggie first came to puppy classes, she hid away and wouldn't come out. With our guidance and careful management of the classes, her owners avoided overwhelming her and worked to build her confidence without putting her under any pressure. Each week that went by, she became more brave and was as bright as a button with the training! By the end of the 5 week course, she was unrecognisable - she played confidently and happily with all the other pups and had achieved her bronze award. What a joy to see! Maggie came to our puppy classes. Lola is Gretta's dog. She's naturally quite sensitive and, after a series of unfortunate incidents, she became 'reactive' other dogs. Lola would chase off or bark at other dogs if they approached her (and even some who were minding their own business!). Not only was this very embarrassing, it was also upsetting to know that she was not coping. We addressed this using kind behaviour modification techniques and she's now a joy to walk... She particularly likes spaniels and cockapoos! Happy dog, happy owner. ​Lola had 1:1 behaviour support. Kane's owners were tearing their hair out when they first got in touch. He was biting them, destroying the house and jumping up at everyone. There's no doubt that Kane has been a challenge but he's actually a sweet and sensitive soul. By working with the vet, we have also discovered that he has significant medial issues which were, no doubt, contributing to the problem behaviour. Kane's owners have been amazing and he is SO lucky to have them! They are such a great team and we're so proud of their progress. Kane had one to one training. Freddy is a sweetheart (as you can see from the picture) but he had got himself into a bit of a muddle! He would pull towards other dogs to try to get to them but then bark and charge at them if they approached or squeal and hide if they reached him. What a puzzle! 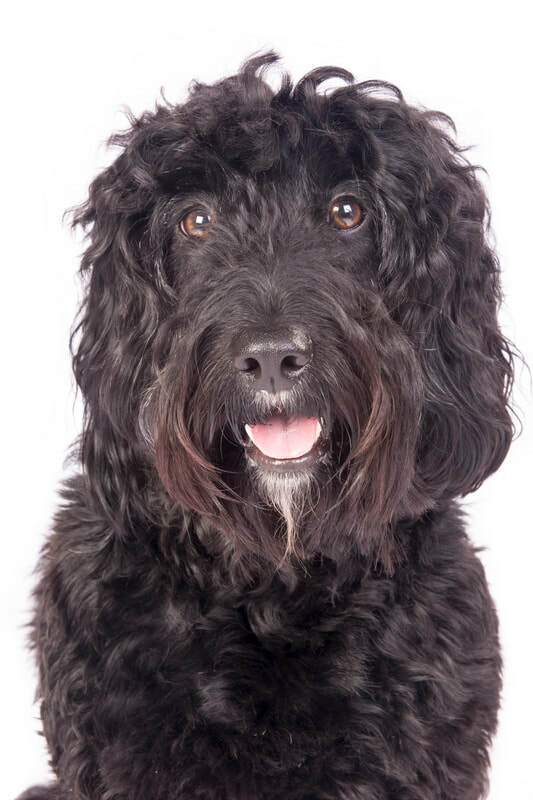 His lovely owner has worked hard to build his confidence and develop his communication skills so that he feels safe and can make sensible choices. Supporting him with ethical, choice-based training has really reaped rewards. He's such a pleasure to work with! Milo was always destined for big things - as well as being a family pet, Milo was also going to step into the role of 'School Dog'. It was important to get things right so his owner (the Headteacher) asked for help in choosing the perfect pup for the job.... After finding a brilliant breeder and picking Milo from the litter, his exciting journey began. Milo is now settled and happy doing a brilliant job at school, helping to develop the children's emotional and academic skills and generally putting a smile on everyone's face! Milo had puppy match and group classes. Max's owner needed help... Max was destroying the house, pulling on the lead, not coming back when called, jumping up at everyone and generally causing chaos! Making some simple changes, teaching Max some key skills and building engagement with and focus on his owner has changed his behaviour beyond recognition. Now the sofa is safe and Max is able to be let off the lead to come back when called (having walked beautifully to the park without pulling). He's a great example of what can be achieved! Max had 1:1 training and our recall package. Albert's owners really wanted to get things right... living and working in London, they were keen to ensure that they chose a puppy that would be resilient and confident in their daily lives and to make sure that they met his needs. Well, they needn't have worried! Choosing the right dog for them, early positive training and a healthy dose of patience has really reaped rewards. Whether he's exploring the countryside around his weekend home or living it up in the bright lights of London, Albert is as happy as can be! Archie's owner was distraught. Even though she lived hundreds of miles away, she had heard about A Different Dog (don't ask us how!) and needed our help. Her beloved dog, Archie, had been scared at bedtime on holiday and now, back at home, he refused to sleep inside. He had been sleeping behind the bins in the garden for NINE months! After a telephone consultation with us, his lovely owner put some changes in place and the result was truly miraculous. He happily slept inside that night and has never looked back! Archie's owner used our telephone helpline. Alfie was a rescue puppy from the RSPCA. He was a confident and boisterous pup and his owners were concerned that he was terrorising his older 'sister' who seemed to be a bit too tolerant of his ear tugging and playful nips! 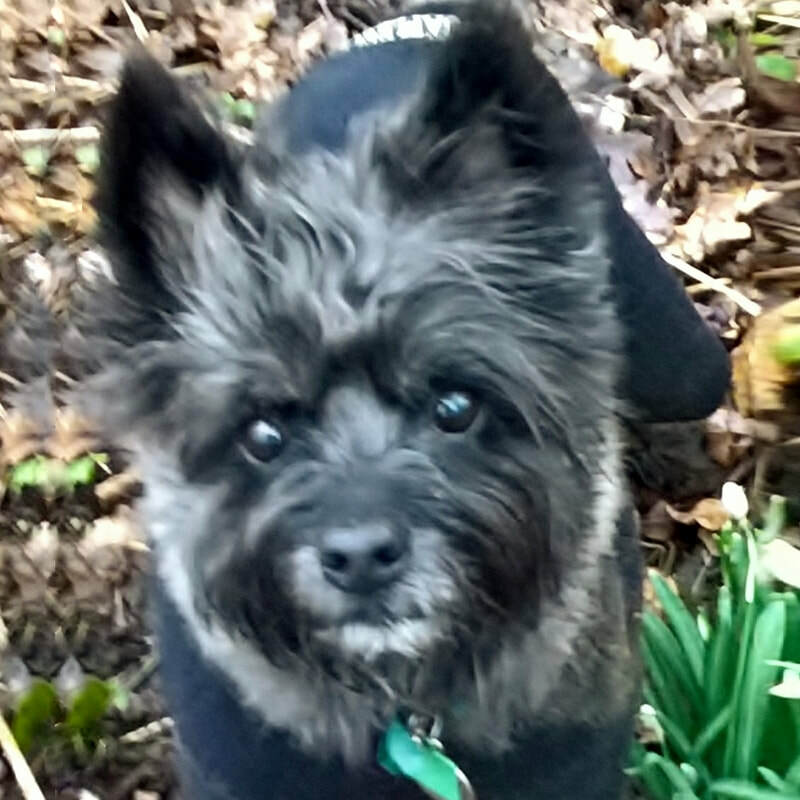 After seeking our advice, sensible measures were put in place by his lovely owners and Alfie improved his social skills, learning how to play nicely with other dogs - he's now a real charmer! Some of Alfie's time with us was featured in Channel 5's 'The Dog Rescuers', in which he did us all proud! Alfie had a new puppy visit and puppy classes. Sophie struck it lucky with her new family! They fell in love with her when she was a stray, living on the streets in Turkey.... so they arranged to bring her home with them! However, her introduction to the two other dogs in the home did not go too well and her owners called us in for help. It has not always been easy but the dedication and compassion her owners have shown has been incredible. They listened to advice and took action. As a result, the dogs now live alongside each other peacefully. We love a happy ending! ​Sophie had one to one training. Who would have thought that the innocent face above (sitting in a baking tray - of course!! ), could snap at other dogs? Well, don't let her fool you... Millau is no push-over (although she LOVES people)! We identified that she was not really that comfortable around some other dogs (which was one thing to work on) but that she also considered other dogs a 'threat' to her most prized things - her owners! The hard work of her devoted owners in implementing the strategies shown has brought about significant changes... Hooray! Ralphie's story is really quite remarkable. At the first home visit, he was terrified - he barked and barked! He didn't like visitors to his house and he didn't like other dogs.... which made life very restrictive and stressful for his loving owners! Ralphie's owners were advised to make simple but significant changes to reduce his daily stressors and we started on the training. After just 2 more sessions, we could barely believe that he was happily greeting other dogs out on walks and cuddling up on the sofa with guests. Incredible! Ralphie had 1:1 behaviour support. Sweet puppy Rocky had never really liked being left alone but his owner hoped that he would get used to it when he got a bit older. After all, most dogs do, don't they? Well, separation-related issues are estimated to affect approx. 25% of pet dogs. In Rocky's case, he would bark and bark until his owner returned, even if he wasn't left for long. This made things difficult for everyone and Rocky needed help. The good news is, after a lot of hard work on the part of his owner, he can now be left happily (and quietly!) at home alone. Previously, training Tango had been all about 'controlling' him so he'd never learned to make good choices. He jumped up and grabbed, pulled on the lead unless he wore a head halter (which he hated), didn't come back when called and just couldn't settle so he had to be banished to the kitchen. His brilliant owners sought help from us and worked very hard to help Tango. The result? Impressive recall, beautiful lead walking, settled behaviour and, most importantly, he is happy! His owner says it all - 'he really is a different dog'. The stories above are just a tiny sample of the many, many wonderful dogs and owners we have had the pleasure of working with over the years. If you'd like to hear more, you can read reviews and feedback from others on Home Page, About Us, How We Work and each of our specific service pages.